Ulefone, a reputed smartphone maker from China launched the Ulefone Future recently which featured a bezel-less design and shocked the whole smartphone world. And now, we have a deal for you- it is now available for just $267 after a discount of $10. Ulefone Future features a metal uni-body design and a bezel-less 5.5-inch 1080p display, literally bezel-less. 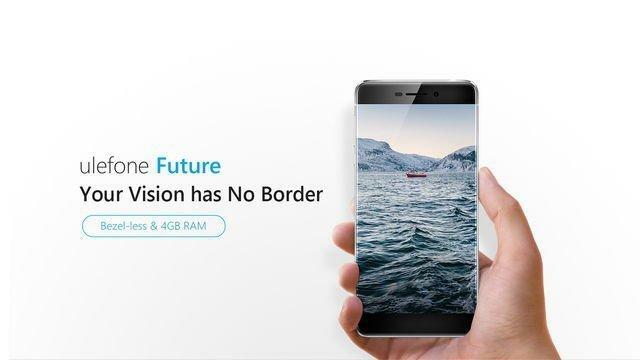 The Ulefone Future is powered by a MediaTek MT6755 64 bit octa-core processor, coupled with 4GB of RAM and a clock speed of up to 1.95GHz. It has 32GB of storage onboard which can be expanded up to 128GB via micro SD card. The Ulefone Future also has a side-mounted fingerprint sensor, capable of recognizing your fingerprints in 360 degrees and unlocks the smartphone in just 0.1 seconds, blazing fast it is for sure. The phone also sports 16MP Samsung 3P3 rear camera with dual tone LED chrome flash and a 5MP front camera for video calling and selfies. Connectivity features include 4G LTE, USB Type-C, Wi-Fi, Bluetooth, USB OTG etc. It is juiced by a 3000mAh battery. And here’s the code to redeem your $10 discount and grab the Ulefone Future for just $267. Just visit the product page and apply the coupon ‘AC2A09’ and grab the phone for just $267 only. Previous articleFirst real image of Xiaomi Max is out and it’s really a huge phone! !